Facing Europe is good for trade, of course, but it has been a problem for defence at times. 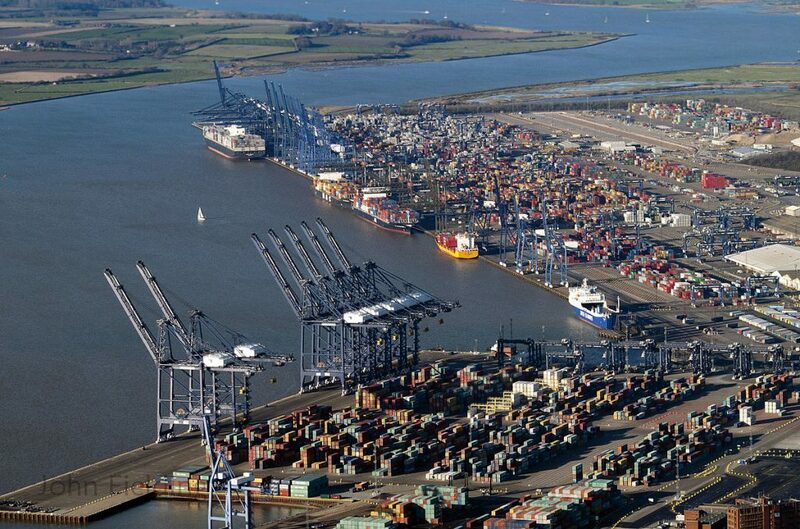 Felixstowe, the country’s largest container port, is the first European landing point for many inter-continental cargo ships, and sometimes the only one. Containers are forwarded to other destinations in mainland Europe. 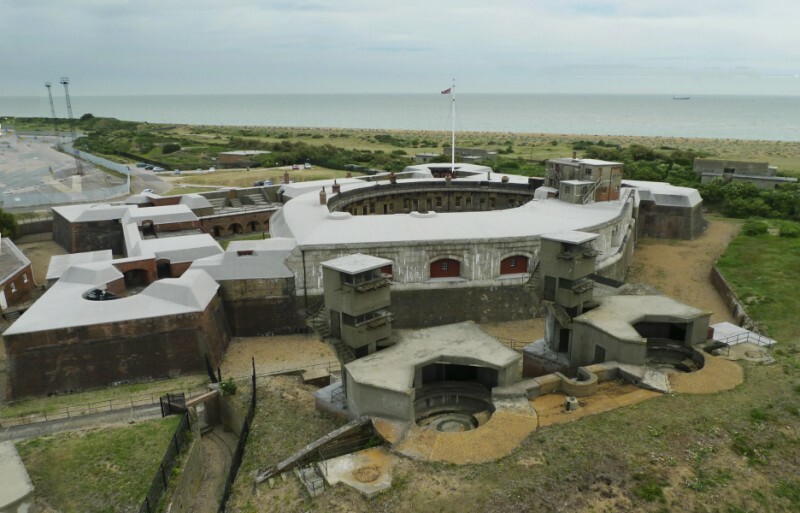 Felixstowe was also, however, the site of the last landing of enemy troops in England. In 1667, a thousand Dutch soldiers and sailors had to be beaten off by the local militia, based at Landguard Fort. Because it faces Europe rather than the Atlantic, Suffolk enjoys a dry climate—average annual rainfall is about 580mm a year, compared with a national average of over 1000mm. Clouds borne by the prevailing west wind shed most of their rain over the higher land in the west of the country. The county’s eastern aspect also means that its coastline—formed of soft clay and sand—is exposed ‘only’ to the battering of the North Sea. That has been enough to transform it. Whole sections of coast have been eaten away—like the area that once housed the town of Dunwich, which is now just a beautiful village. The eroded material was then deposited further south, thus creating Orford Ness—a spit of sand and shingle that takes the River Alde on a 12 mile detour before it finally reaches the sea. Orford Ness was the preserve of the military for many years, but it is now a peaceful nature reserve. You can visit the National Trust website for more information. The main building stone in Suffolk is flint. It occurs both as loose stones in fields and as bands in deposits of chalk. For high quality work the flints are ‘knapped’ or split to give regular flat surfaces that are frequently a glossy black colour. This is called ‘flushwork’. 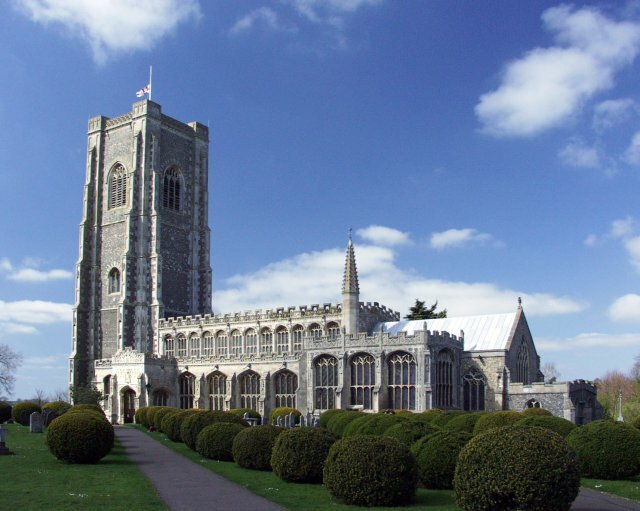 Most Suffolk churches are built of flints, with varying amounts of imported limestone or brick for the corners, door and window surrounds and other architectural details. The churches bear witness to the wealth of the wool merchants who once lived in these places—men like the Spring family of Lavenham. For ordinary houses timber was the main building material used in the Middle Ages. Suffolk has one of the largest stocks of medieval timber-framed houses in Britain. It also has some of the earliest and finest brick buildings in the country. These days Suffolk is known as an arable county, with most farmland under the plough. Barley, wheat and sugar beet are the most important crops. It has not always been so. In the Middle Ages, wool was the most profitable product. Many villages and small towns have a church that now far exceeds the needs of the population, and maybe always did so. The sandy soils in the east and north-west of the county are less productive than the central belt of clay and in these areas much land is given to forestry. Military air bases can also be found. In the west there is chalk downland. 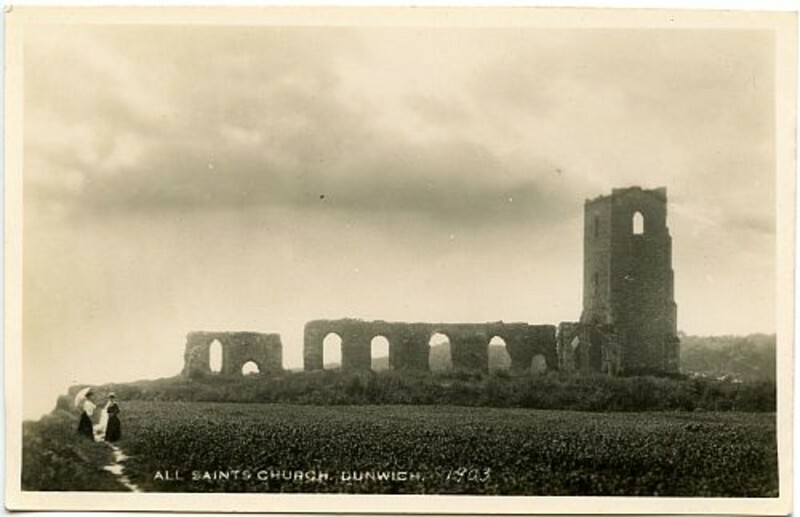 Once the only accessible land approach, today it still carries the A14 and the railway—the main routes into Suffolk.